Kim Vopni – The Fitness Doula launches her new book! We are excited to bring you this interview with Kim Vopni about her new book, Prepare to Push. 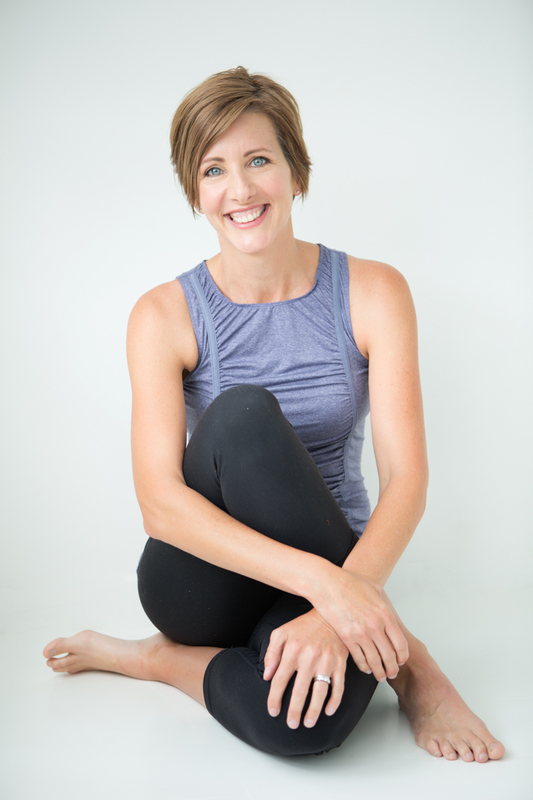 Kim is a pre/postnatal fitness consultant who combines the support aspect of a doula with fitness principles to help women optimize their core and pelvic floor for birth. She took her popular workshop Prepare To Push and turned it into a book with the intention of sharing her knowledge with more women. With prevention in mind, Kim is hoping women will ditch the ‘super mom in skinny jeans’ mentality and instead embrace the importance of preparing for their birth marathon and honour the need to recover so they can have core confidence for motherhood. How would you summarize your book, Prepare to Push? Prepare To Push is a book designed to inform and empower women about their pelvic floor and core so they can help prepare and support their bodies in pregnancy, birth and as they enter motherhood. Too many women learn about pelvic floor dysfunction and diastasis recti AFTER the fact and are left wondering why no one told them about this ahead of time. Knowledge is power and when women are informed, they can make choices based on that knowledge. The book gives women key preventive and preparatory exercises, tips on how to optimize their birth and a recovery plan that is focused on restoring form AND function so they can mother without leaking, have confidence in their body and return to the activities they love. I grew up afraid of birth because of what my mom went through – episiotomies, bladder surgery in her 50’s, back pain and a tummy she was never happy with. I was adamant about not having children but after I got married and realized I did want children, I needed to do what I could to have a different story than my mom. I used a biofeedback device called the EPI-NO to help me prepare for childbirth and after having a positive experience, I felt compelled to tell everyone I knew! I became a distributor of the product in 2004 and began spreading the word. This introduced me to the world of pelvic health and the start of an amazing journey. I learned that my experience was not the norm and most of my friends had difficult births, interventions and lingering challenges postpartum. Having a fitness background, I saw the need to bring more birth specific training and education around pelvic health to pregnant women soI began teaching workshops in 2009 and then turned it into a book in 2015 as a way to reach more women. What is the audience you are trying to reach? I would like to reach all pregnant women but especially first time pregnant women. Knowing this information will empower women to take a preventive mindset, to prepare and to honour the process of recovery instead of fearing birth, being ill prepared and then wondering ‘why didn’t anyone tell me about this’ after they have had their baby. What is the book’s main message? You need to train! Birth is a physical event – often compared to a marathon and like a marathon it needs to be trained for and while women can’t exactly practice giving birth, they can train their body with movement that mimics labour so they will have the strength and endurance to manage the demands more optimally. The aim is to prevent core dysfunction such as incontinence, prolapse, back pain, pelvic pain and diastasis recti. What are the top points you believe is most important about your book? The pelvic floor and abdomen don’t get a lot of attention paid to them until there is a problem – this needs to change. What makes your book different from other maternal health books? I remember a book I used in my pregnancies that was fantastic and had amazing information and images but all that was covered about diastasis recti was a tiny little paragraph defining it and all that was covered about the pelvic floor was perineal massage and kegels. There was no discussion about how related these 2 body parts are, nothing about safe exercise, and nothing about pelvic floor physiotherapy. Had I known that over 60% of women with diastasis have one or more pelvic floor related dysfunctions, I would have paid more attention to my abdomen. I considered the abdomen as its own entity and lavishly spread belly butter on it trying to prevent stretch marks. I considered the pelvic floor as its own entity and diligently used my EPI-NO to try and prevent tearing. I had no idea how closely these 2 parts of the body are related and how one affects the other. Had I known, I would have done things differently in my pregnancy with regards to core exercise and I would have done things much differently in my recovery (I did not wrap my belly and I tried running at 2 weeks postpartum – not at all what I advise). I have tried to set myself apart from other books by focusing on what I felt was missing from other publications – an in depth look at the pelvic floor and the abdomen. What do you address regarding women’s health that isn’t usually discussed and why do you think many overlook it? Pelvic health is not typically addressed in prenatal education and if it is, the information usually pertains to ‘do your kegels’. While this is better than nothing, women deserve more. They deserve to know what their pelvic floor is, how it changes in pregnancy, how they can support it, what it needs to do in birth and how to help it heal once the baby is born. Pelvic health has long been considered a bit of a taboo subject or one that is embarrassing. Social media has played a role in increasing awareness but it is mainly restorative based and while it is amazing that resources exist that can help women restore, why don’t we give women information on how to prepare and prevent? Let’s do what we can to educate women BEFORE there is a problem so they can take steps to prevent or minimize the possibility of challenges with their bodies. What is your most asked reader question? As I mentioned earlier I am a huge promoter of pelvic floor physiotherapy and I talk about it at length in the book. I am always asked by pregnant women if they can see one during their pregnancy. Absolutely! Typically pelvic floor physios will not perform any internal assessments during pregnancy but they can help balance the pelvis, keep an eye on posture and alignment and some are even trained to attend your birth. I highly recommend that women see a pelvic floor physiotherapist during their pregnancy, at 6 weeks postpartum and then on an annual basis for the rest of their lives. What do you want your readers to know? Your pregnant pelvic floor and abdomen need your attention. Our modern day world and the ever increasing medicalization of birth mean our bodies are going into birth ill prepared and are faced with challenges in the postpartum years. We have the opportunity to change this. Learn about your pelvic floor in your pregnancy (or even before! ), optimize it for birth, work on your mind/body connection, empower yourself and honour the process of recovery and restoration. I have a saying ‘mommy and bootcamp do not belong in the same sentence’. Bootcamp is something moms can return to once their core is restored but it should not be what they do to ‘get their body back’. I am currently working on another book that is a compilation of tips from pelvic health professionals around the world and stories from the women whose lives have been transformed with pelvic health physio. I would also like to create a Prepare To Push Workout book/program that provides trimester specific workouts that incorporate the foundational information in Prepare To Push. We would like to thank Kim for her time and willingness to share. If you would like to learn more about her or her book, be sure to visit her website, Pelvienne Wellness. Love your post Kim! And, would love to share my three birth stories – and what I’ve learned as a pelvic health physio and as a mom, to help the patients I work with – such a valuable project you are working on! Can’t wait to contribute! Moms to be everywhere would take so much value out of hearing from you! I look forward to being of assist with your next book – it will answer a BIG need for moms and maternal health pros! Let’s keep in touch and when you are ready – I’m at your service!